"Designing well-considered, welcoming places that effectively meld architecture and interiors." 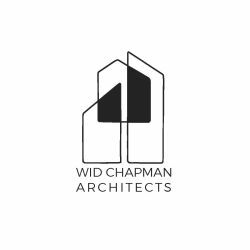 Wid Chapman Architects designs well-considered, welcoming places that effectively meld architecture and interiors. Our hotels, restaurants, residential, retail, and student spaces are inventive, modern, and multifaceted…layered, detailed, and colorful. In them, form and function, space and light intertwine, setting the stage for interaction. Dynamic yet unified, they embody an undeniably engaging energy. Design dialogue plays a major role in our development process. We’re big on listening first, then talking, as we know that collective contributions pave the path to success. Visual brainstorming helps us solidify the “brand” of a project during the process, generating an achievable fusion of needs and ideas for a final concept. Our firm designs globally, with completed projects in New York, California, Colorado, Florida, Massachusetts, Pennsylvania, Washington State, the Dominican Republic, Korea, Malaysia, and Mexico to date. And we are a “preferred designer” for Starwood Hotels and Resorts. Our work has been featured nationally in Contract magazine, Crain's New York Business, Hospitality Design, Interior Design, New York Magazine, the New York Times, and the Wall Street Journal, and internationally in Figaro Japan, Interiors India, International Design (I.D. ), and Shotenkenchiku. It has also appeared on New York's WABC TV. In 2000, we received an I.D. Magazine Annual Review Award for our three Elixir juice bars in New York City.